It's almost the end of the year! I've had several requests for this file this year and I wanted to offer the updated version in its own post so it will be easier to find. 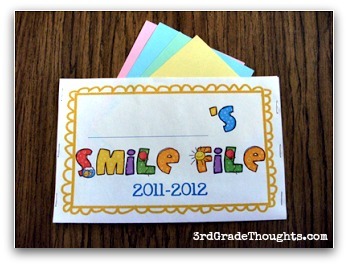 One of my most favorite end of the year activities is the Smile File! Each student uses the freebie sheet to make their own folder by folding it back and stapling it down the sides. 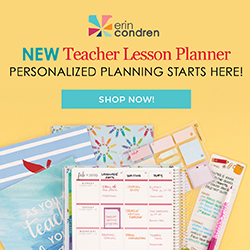 They fill their name in on the line and then grab 1/4 sheets of paper (I use many different colors to make it fun), grabbing as many sheets as there are kids in class. Depending on the age of your students (I have done this in 3rd and in 5th), you will need to allot a nice chunk of time and may need to break this down into smaller chunks, depending on their stamina. I usually do this with some nice, relaxing music in the background and encourage them to take the time they need so that each student gets a great note. Everyone will then write a sentence or two (a compliment, a memory, why it was nice having them in class) to each person in the class and sign their name. 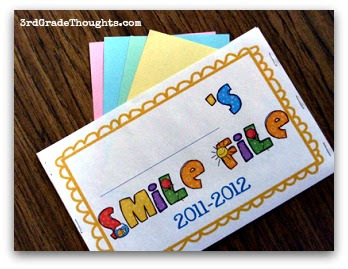 They will then slip the paper into the student’s Smile File and repeat the process around the room. Helpful Teacher Tips: Before we begin, I make a chart about some nice notes we could write and leave that posted for those students who may have trouble thinking of specifics for each student. I will also write my Smile Files for each student in advance and put them in the envelopes lickety-split so I can hang out near my kiddos who need a bit more support with writing. 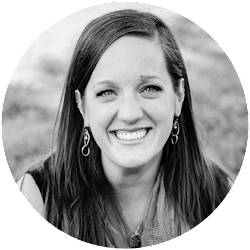 After the students are all done, you can choose to have them read them in class, or to save them for when they get home-- it's such a special and simple way to celebrate your classroom community and end the year in a bucket filling way. To get this year's updated freebie, download HERE and enjoy! If you'd like to read about how to make this into a booklet format, click HERE. Thank you for this reminder about your smile file! Any chance you would consider posting one edited for 2014-15. Thinking of starting the year with it. 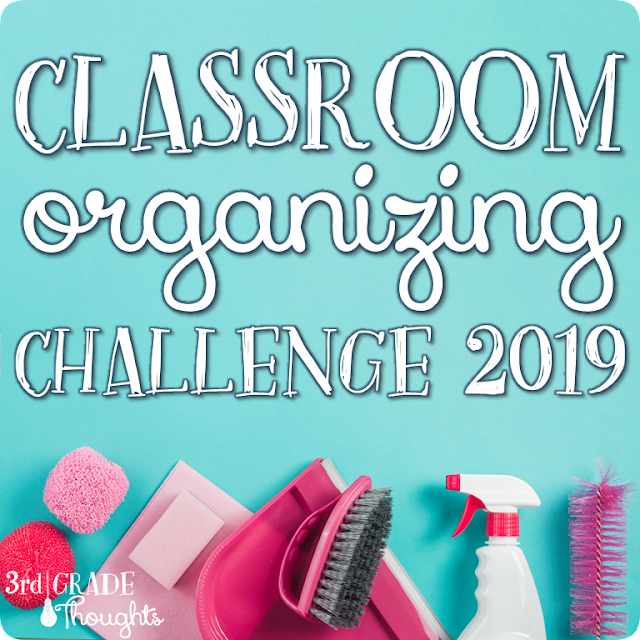 I love this idea for the end of the year, actually during the whole year! Do you have a packet of your own, or maybe someone else's that you like that is a review for your 3rd graders to do during the summer before 4th grade? I think I searched your whole site, and was unlucky! Great Article I cherish this thought, really throughout the entire year. i think kid like theFree Math Worksheets to understand it. I love this idea. I did it with my kids on Wednesday and they had a blast. Thanks for posting. I love this idea! Thank you so much for sharing the updated version.